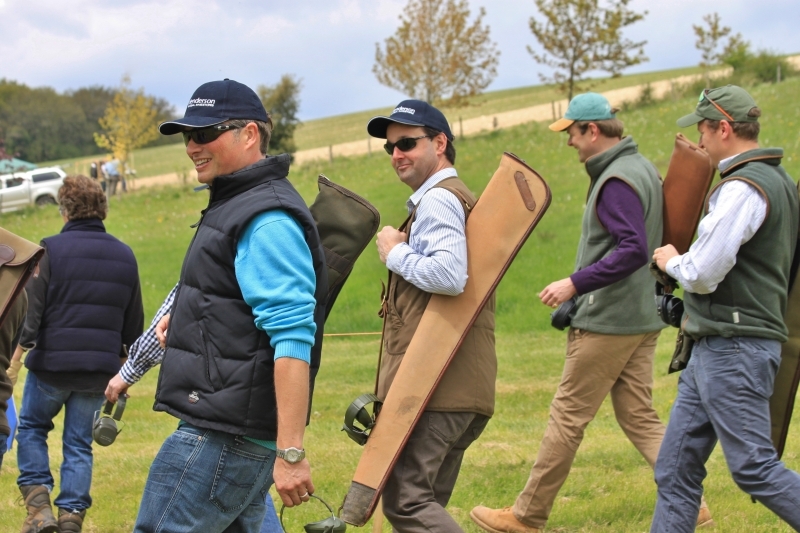 Hilldrop Simulated game days, set within the stunning Marlborough Downs, are unique. You will shoot five or six very different drives. 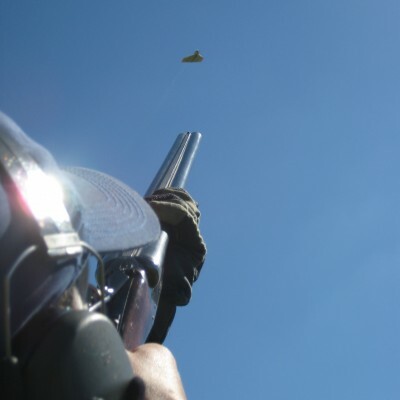 Where else can you shoot traditional British game birds before turning ‘Poacher’ and having a go at teal, crows, magpies, crossing pigeons, rats, rabbits and even flying squirrels. 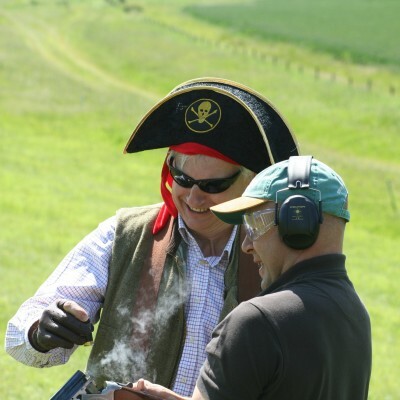 This is only part of the story as we can quicken the pulse with the likes of exploding clays, tracer cartridges and shooting at ‘clays’ with bow and arrows and Gnats, being radio controlled planes with pyrotechnics under their wings. The day is designed to be entertaining and laughter and team banter is encouraged and virtually guaranteed. 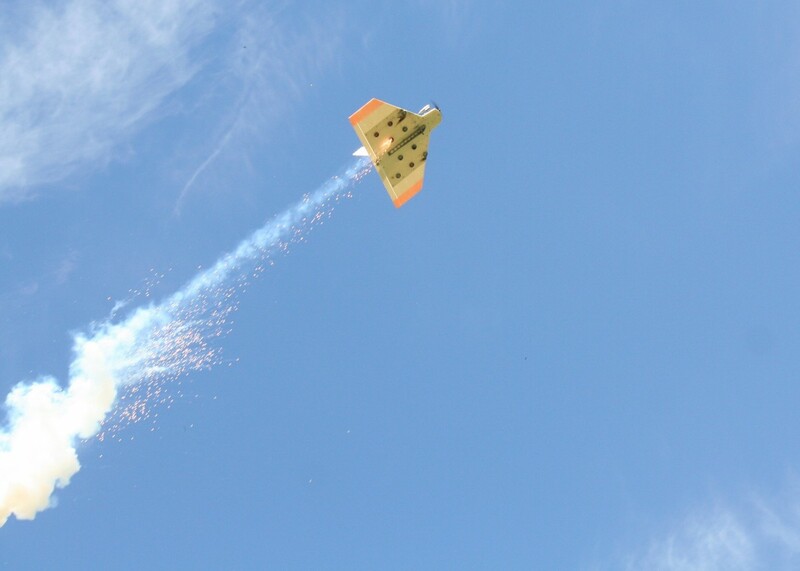 While not necessarily for the purist, these flying aeroplanes/drones, which can fly at up to 80mph, can certainly add an X factor to your day. Gnats have pyrotechnics under their wings, which duly explode if shot. The ultimate satisfaction is bringing one of these down! For those that follow the motto of ‘He who dies with the most toys- Wins’ will find the Gnats are a great addition. Beginners will need an instructor and novices will almost certainly get more from the day with enthusiastic guidance from one of our team. 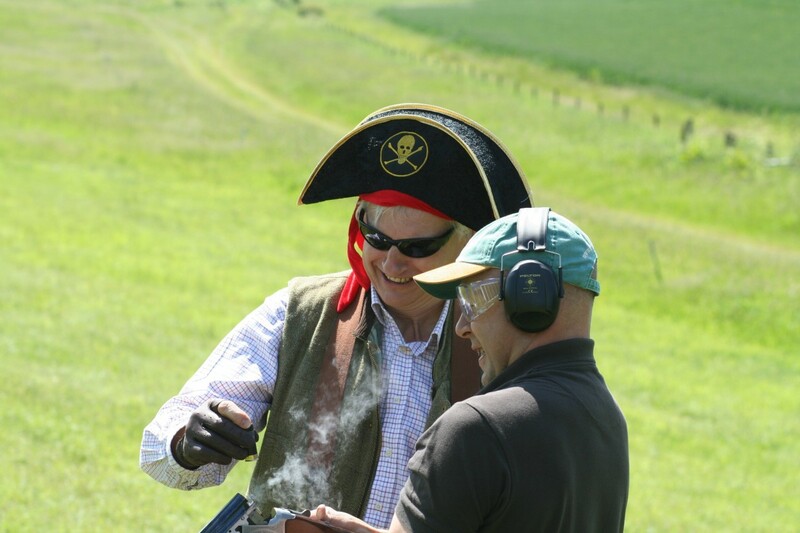 Each of our instructors can supervise two guests but if you want to use this as a dedicated training session, we can invite Sarah White, who shoots for Great Britain, to join you for the day. 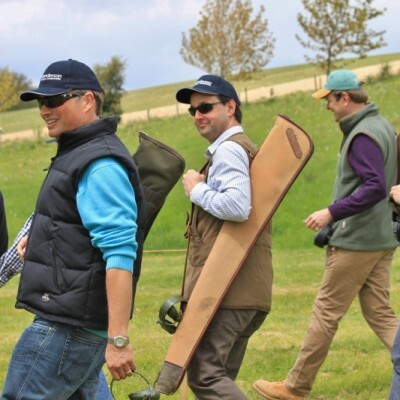 Meet and Greet at the Shoot room: We ask guests to arrive at 9.00am at the shoot room, which is a dedicated ‘hunting lodge’. Hot Coffee and Bacon rolls will be served on arrival to help lift your spirits from your journey. After setting the seen and a safety briefing we will set off to the shoot. 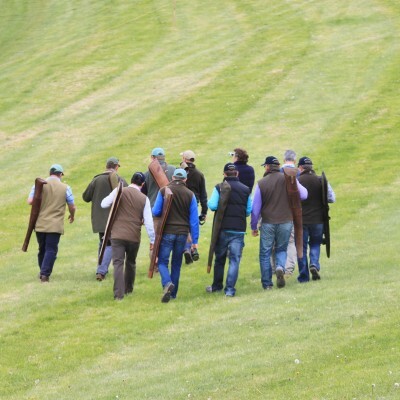 Partridge – The Somme: The Opener is predominantly an English partridge drive. The pegs are positioned within a stunning gulley with coveys of partridge and the odd higher pheasant coming over a hedge. Remembering this day is all about having fun’ your host will use this drive to assess everyone’s ability and make sure that we enthuse the beginners, challenge the experienced and humble the arrogant. We have recently built a network of First World War trenches and bunkers to add a new dimension of this drive. High Pheasant – ‘Kite Hill’: Due to its steep valleys, Hilldrop has a reputation as a superb game shoot. Kite Hill has humbled some fine game shots and thus is a perfect backdrop for our high pheasant drive where you will be tested with 100-120 feet birds. In addition you will see some low ‘horizon hugging, crossing French partridge’, distinctive from their superior English cousins, as the Frenchmen typically fly away from the guns. Elevenses and Semi-Automatics: Our picnic spot has spectacular views ranging for 15 miles. Pimm’s, soft drinks and homemade flapjacks are served. 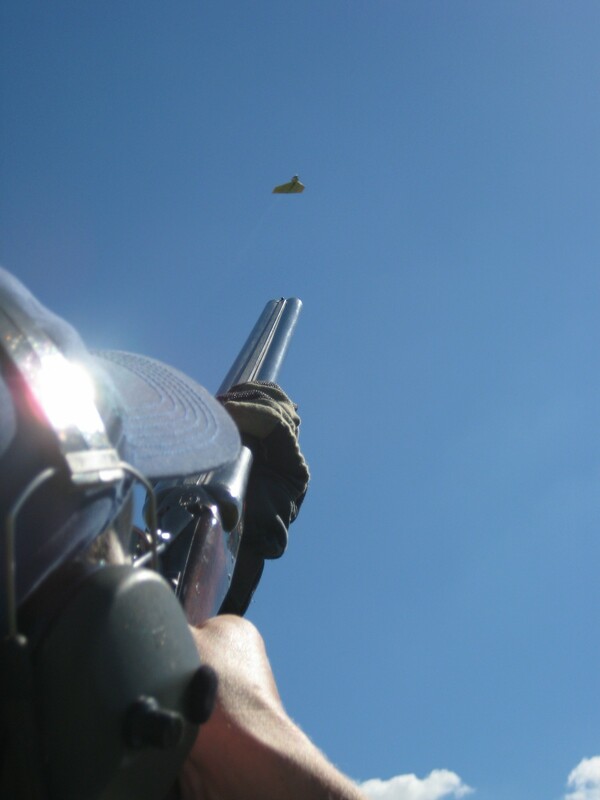 For those that really want to take the shooting experience to the extreme, we will give you a chance of shooting at huge flying foam clay. Sounds easy enough – right up to the point that you discover your weapons are a bow and arrow or a semi automatic paint ball gun. Wildfowl and Vermin: Following the Pimm’s break, we will take you to the wildfowl and vermin drive, which many refer to as our signature drive. This drive should really test your game-keeping instincts! Designed to get the adrenalin pumping, one can expect to shoot flighted duck, springing teal, English partridge, crossing pigeons, magpie, coot and crows, plus the rare and rampant ‘Hilldrop Rabbit’! Some of you will be shooting from an elevated ‘tree house’. This in itself does not sound out of the ordinary but the fact that they are coming at pace from all four corners of the compass in huge numbers infers that your barrels will be roasting, you will have to look in all directions, whilst being quicker than your neighbour; who, by this stage, has almost certainly learnt one of the Hilldrop Commandments ‘thou shalt covet thy neighbours birds’! Lunch: Lunch is an indulgent and decadent affair. The shoot room bar awaits with Rose, Cider and our own Local Ale, Ramsbury Gold, being served along side hot Porky Scratchings. Then, amongst chat of ‘ I really did shoot like Clint Eastwood’, you sit down to the likes of BBQ butterfly of lamb, a multitude of salads and flans; followed by Chocolate Biscuit cake, Cheese and Coffee. The Woodcock: We normally run the Woodcock drive as a mini-competition; the guns are in hides within a mature Oak wood. 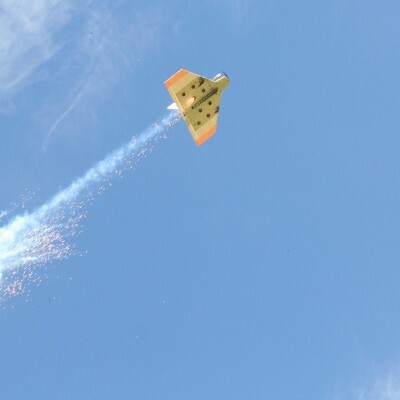 You will be shooting at coloured clays, being woodcock but also at Rabbits, Rats and are newest pest- the Flying Squirrel! High Pheasant – ‘The Himalayas’ : Our second high pheasant drive is situated at the foot of a hill and produces some moral destroying pheasants in the game season. This is what we are trying to simulate here. 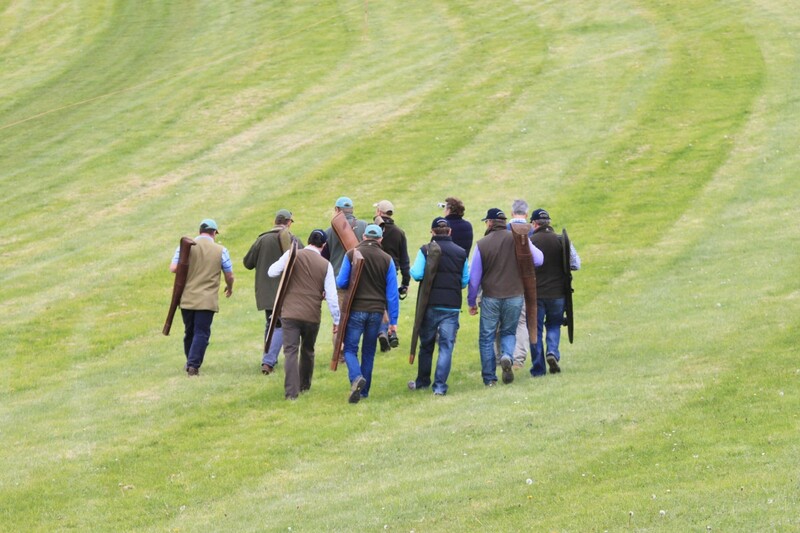 Think of the great Devon shoots such as Castle Hill and then add a bit!